"The recent updates made to the SitOrSquat app make it easier than ever to quickly locate clean public restrooms so you can enjoy the go while on the go." 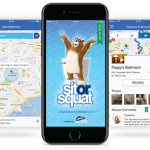 CINCINNATI--(BUSINESS WIRE)--With millions of people expected to travel this Labor Day weekend, Charmin has released a new version of its SitOrSquat restroom finder mobile app. The popular travel app helps people find clean public restrooms based on user-generated ratings and reviews. The new Charmin SitOrSquat app now has more than 100,000 public bathrooms for people to search and find a clean place to go. Users can upload photos of clean seats into their reviews, and a new mapping and clustering feature makes it easier for people to locate bathrooms based on their location. 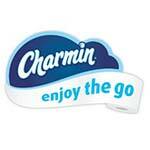 Travelers can visit the App Store, search Charmin SitOrSquat and follow the simple directions to download it for free.